This PDF 1.7 document has been generated by Adobe InDesign CC 2015 (Macintosh) / Adobe PDF Library 15.0, and has been sent on pdf-archive.com on 24/02/2016 at 11:12, from IP address 31.50.x.x. The current document download page has been viewed 294 times. File size: 8.9 MB (15 pages). facing our planet and the global economy. Water will be the teeth of climate change. human health, and economic development. use it more wisely and share it fairly. of the country, the continent and the world. centred action, cutting-edge research and targeted advocacy. 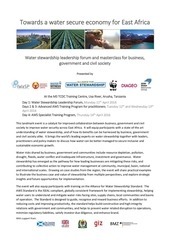 practical evolution of corporate water stewardship. right information to the right people in the right ways. growth, and re-emphasises our commitment to value-formoney, high impact and ethical delivery. with us in working towards a fair water future for all. delivering positive change in the way water is managed. and oversight. We also challenge and help donors and NGOs to plan and deliver more effective aid. less well connected and so less well protected. facilitate community access to legal redress. to citizen action also helps to diagnose systemic challenges. is termed social accountability monitoring. monitoring of water management with partners in Tanzania. snatched away. This will help us avoid conflict as water demand is increasing. us to protect the health of this community. For the first time people are demanding their rights on water. This is powerful and will help things change. how they can be scaled up. they also shape water resource management options. markets is scarce, or where use impacts the environment, economy and local people. for all, rather than merely for some. beyond the fence line of company operations. and fibre consumption on global water resources, Volume 1. WWF-UK, Godalming, UK. investment on corporate water risk management. members of the Alliance for Water Stewardship (AWS). can differentiate and reward these responsible users in the market place. evaluating the first applications globally. 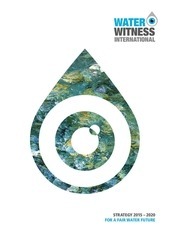 ‘Guide for managing integrity in water stewardship initiatives’. on the topic. The publication is something of a landmark contribution. Well done. formation of an international research network. governments and donor agencies including DFID and GiZ. 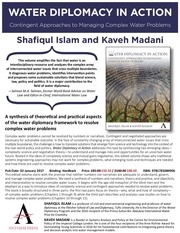 provided a critical perspective on the management of water resources. the supply chains of Marks and Spencer. control that erode local ownership and impact. citizens in both donor and recipient countries. international donors and NGOs have sometimes been inadequate. out strategic and practical responses. to take precedent over social and environmental impacts’. citizens. We are pioneering this process at two levels. forefront of water security challenges. commercial lending arm of the World Bank does business. resources management from the bottom up. work achieves impact at scale. This file has been shared by a user of PDF Archive. Document ID: 00342771.